My photos from TechEd are finally online. I planned to upload them each day, but without my camera cable, I was stuck. I could have used IR and beamed them one by one, but that takes forever. To avoid this problem in the future, I ordered a USB media card reader last night. 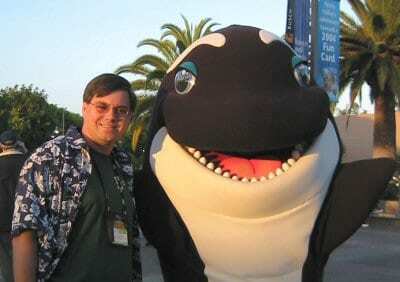 Here’s a sneak peak of me and Shamu. Check out the online album for the rest of the photos.